A “Match Three” style genre game by GameHouse. 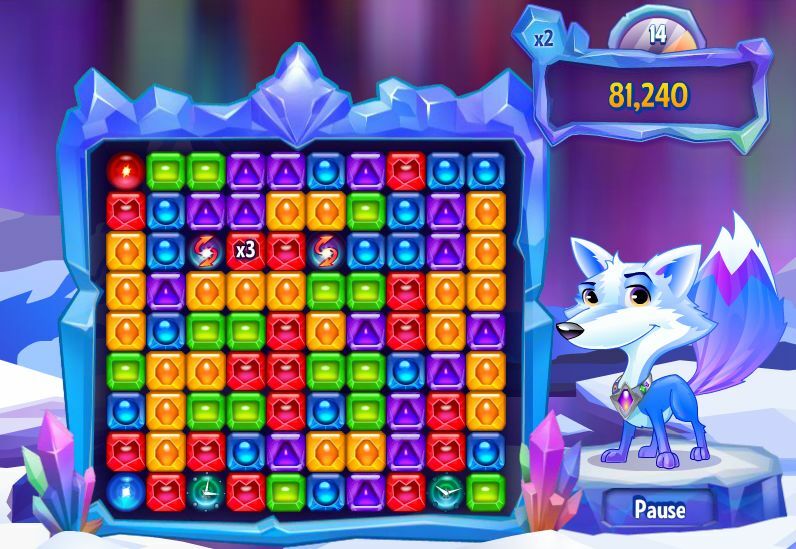 Discover magical powers and unlock the secrets of Mystic Ice Blast. Play now to compete with friends in the weekly live tournament! 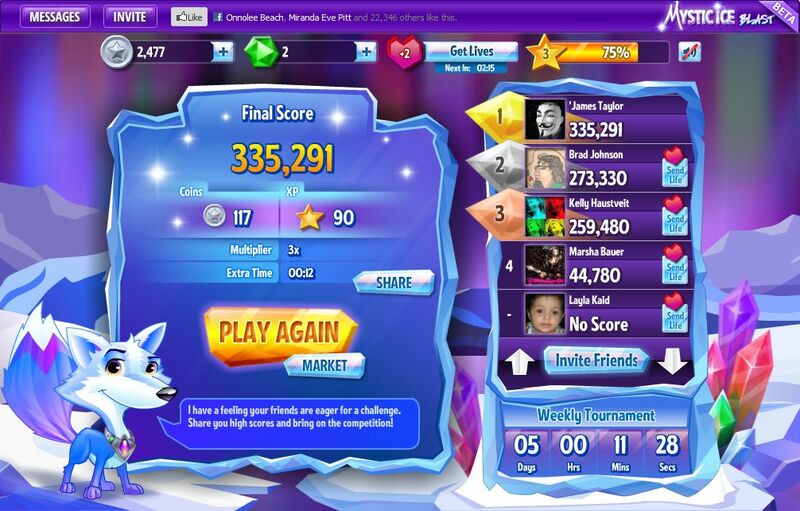 Mystic Ice Blast is a brilliant match three style game with fun quick games lasting 60 seconds plus bonus time from powerups that we will go over soon. The weekly tournaments for Mystic Ice Blast start on Wednesdays. You can invite as many friends as you like. To invite them, write on their walls, use instant messenger or send them a message. The leaderboard shows your Facebook friends that have played the game and have a score that week (even if you didn't invite them). 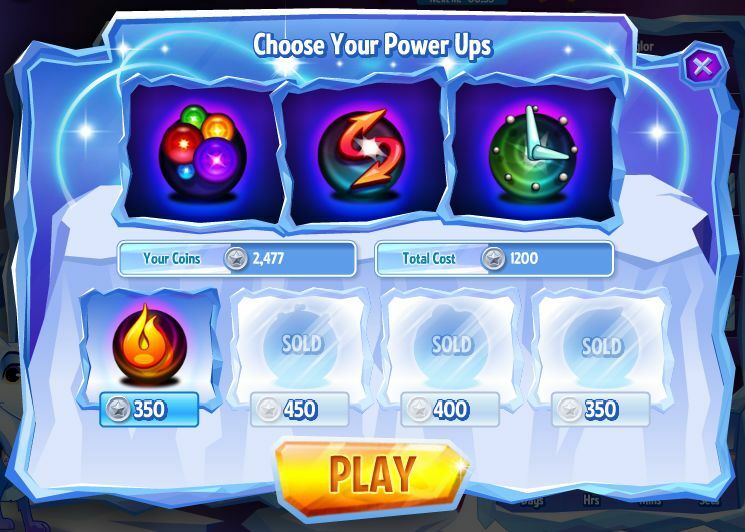 You can select Power Ups in Mystic Ice Blast before entering the game screen. Using each Power Up costs a certain number of coins (displayed beneath each Power Up). If you have enough coins, you can use up to 3 Power Ups for each game. The Power Ups selected will show up randomly during the game and can dramatically increase your final score. Starting a match requires one life aka heart, the recharge on their own but take time and stops at a max of five. If you don't want to wait you always have the options to ask friends to send you lives or to buy them with emeralds (bought with Facebook credits) or game money. Clearing bigger amounts of blocks at a time yield greater points, one method I’ve found is in a situation where two of the same color groups are separated by another group, first clear the separating group to connect the larger mass which will yield a better score. 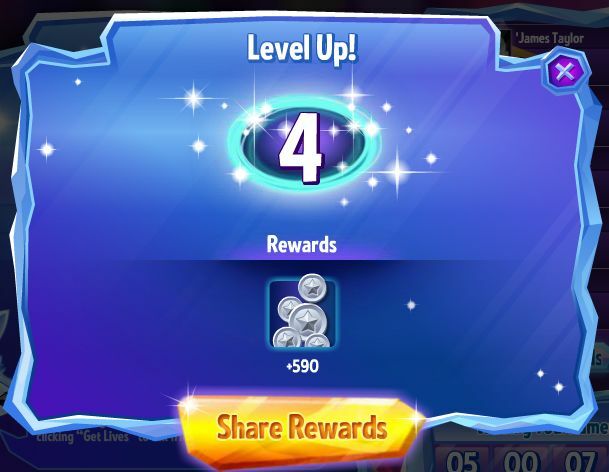 Save up your coins until you can use three power-ups at once, doing this will allow you to utilize all three abilities in one game thus maximizing their benefits. **Feel free to share you strategies, tips or tricks. Mystic Ice Blast is a fairly enjoyable game, an adorable snow fox mascot, unfortunately limited game play and fun short matches I would recommend Mystic Ice Blast. 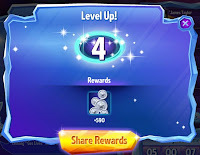 The short learning curve means you will be able to pick up the game shortly after starting especially with the help of the strategy, tips and tricks section.